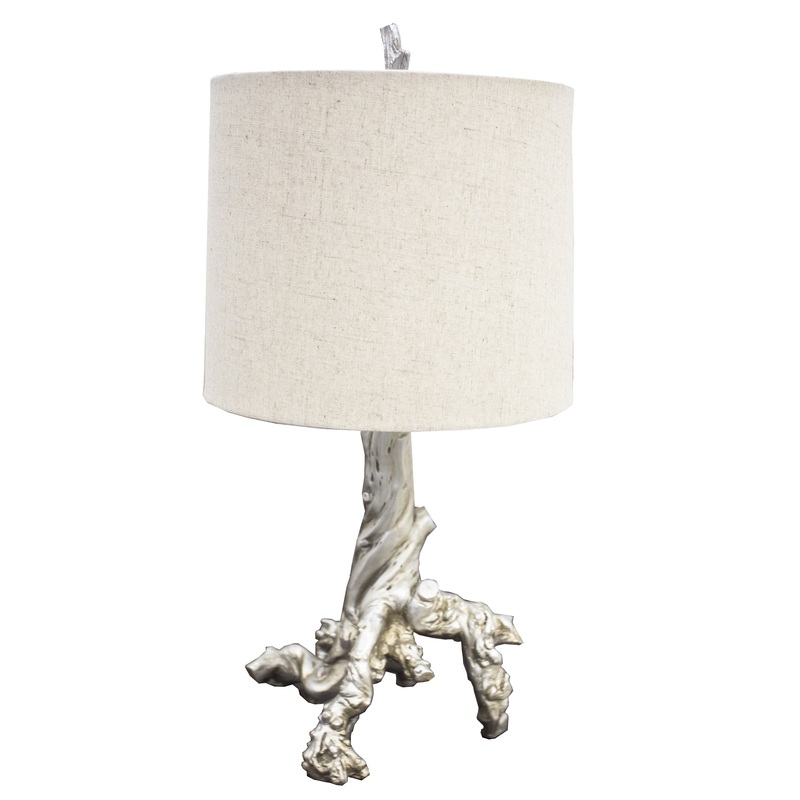 Bring the outdoors in with this gorgeous tree trunk lamp. The base is a champagne metallic and the shade is a linen beige. This is a small accent that adds punch to any space.